Turbulence is one of the most unpleasant parts about flying for many passengers and even the cabin crew. Like driving a car over a bumpy road, airplanes hit bumpy spots in the sky. While turbulence is not dangerous, many people still fear a bumpy ride. Fortunately, there are seats on the plane where passengers may feel more at ease. 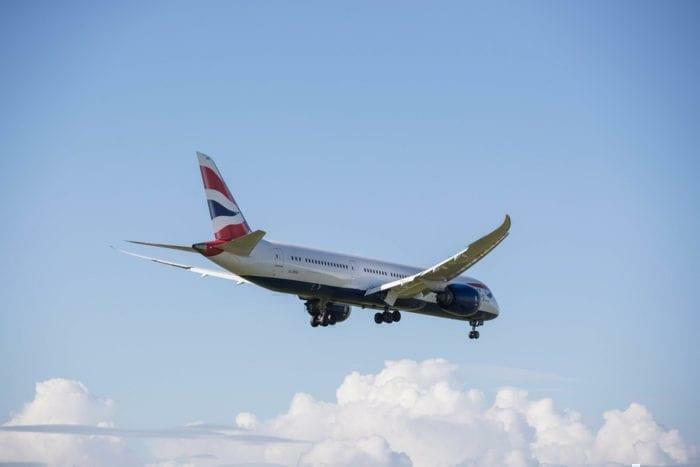 A 787 dreamliner – one of the best planes for turbulence. The feeling of being tossed around during turbulence is one of the dreaded parts of flying for many passengers. Passengers are also usually scared of being stuck in a metal tube for hours or not having control of a vehicle like they would in a car. Booking your flight early, having extra legroom, bringing distractions such as a book or tablet, and discussing any concerns with the flight crew may help you enjoy a more comfortable ride. Sleeping is also a great recommendation! Be sure to bring your eye mask, earplugs, and pillow so that you can have a comfortable nap during the flight. While there are several reasons why turbulence may occur, it’s important to know that the pilots are highly trained to deal with turbulence and will try their best to ensure a smooth flight. Turbulence is caused mainly by disturbances in the air flow. Weather-related issues such as high winds, clouds, or a storm can cause turbulence. Mountain ranges or random pockets or air can also cause a few bumps. Often times, pilots can detect when there will be turbulence and will notify the cabin crew as well as the passengers to be seated and keep their seatbelts fastened. The best seat on the plane to avoid turbulence is either over the wings or towards the front of the aircraft. The wings of the plane keep it balanced and smooth whereas the tail of the plane can bob up and down more. The closer you are to the front of the plane the less turbulence you will usually feel. If you sit towards the front of the wings so that the engines are behind you, not only will you feel less turbulence but you’ll also have a quieter flight. Flying is never a comfortable mission, however, making the most of it by picking the right seat and coming prepared can make all the difference by having a relaxed flight.